My daughter is a star gazer. Over the Christmas Holiday’s we were lucky to borrow a telescope and explore the skies looking for Santa! The “LPS Cosmic Pounce Pack” combines her love of space with her love of animals to create a collection of pets that are out of this world. 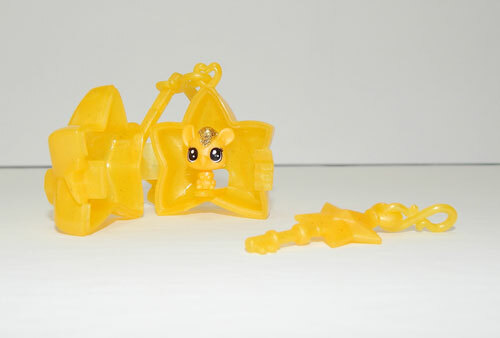 The “LPS Cosmic Pounce Pack” comes with 4 Classic scale pets, 7 Teensie scale pets and 1 star shape habitat and key. 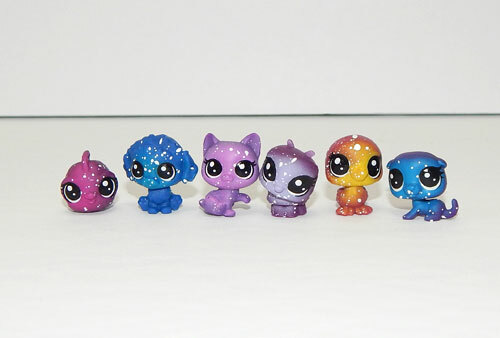 Each LPS Pet is decorated in colours straight from the cosmos. Rich purples, blues, oranges and yellows adorn each creatures body. The 4 Classic scale pets also have a special “Glow-in-the-Dark” specs on their bodies that activate when held under a bright light. Some of the “Glow-in-the-Dark” specs work better than others. In our case, the SeaHorse has the brightest glow and the dog has a dull, barely there glow. 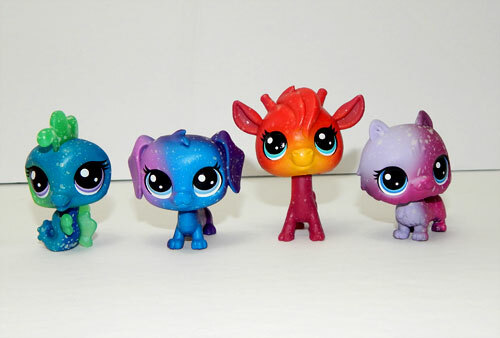 The Classic scale pets have bobble heads and big eyes that LPS are known for. Each of the Classic scale toys easily stands on it’s own, without tipping over. The Teensie scale pets are also decorated in the galaxy theme, but do not glow in the dark. The teensie scale LPS approximately the size of a dime. They do stand on their own, but often topple over. The locket holds a special Teensie scale LPS that has a glitter on it’s head. Inside the locket is a little peg for the pet to sit on and not fall over. 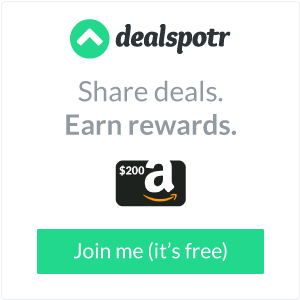 It can be attach to a back-pack or zipper by using the clip on the top. The locket comes with a key but doesn’t actually lock. The key just makes it a little easier to open the locket. 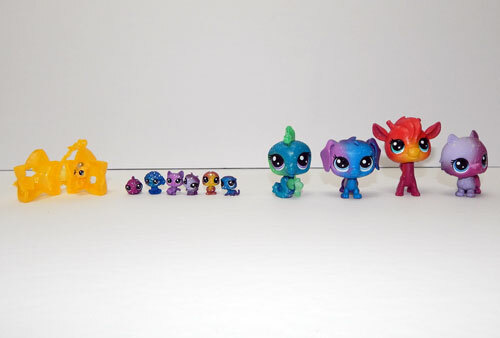 My daughter loves to collect Littlest Pet Shop pets and is thrilled to add the “LPS Cosmic Pounce Pack” to her collection. *Disclosure: I received a complimentary “LPS Cosmic Pounce Pack” through the Amazon Vine Program in exchange for my review. All opinions are 100% my own.